The Thrilling Adventures of Lovelace and Babbage: The (Mostly) True Story of the First Computer is a beautifully produced book. It's hard to describe it: not quite graphic novel, but more than a collection of sketches and comics. Not quite biography, but neither is it just a cartoon fantasy. I first heard of the comic through watching Calculating Ada on BBC iPlayer: Sydney Padua is one of the people briefly interviewed for the programme, and some of her art is shown. Those brief glimpses of cartoon Ada resonated with me immediately, so when I saw the book in Waterstones, I didn't think twice before buying it, even though I had no idea what the comic itself is actually like. Like many comics that started on the internet, it doesn't have a continuous story arc, but is a collection of fairly standalone flights of fancy. Where it differs from regular web comics is in its basis, which is always at least inspired by historic quotes and facts, and in its habit of quoting primary sources. Clearly, a lot of research and love has gone into the book. Affection for the characters veritably oozes off the page, while the multiple footnotes per page explain every reference, allusion or detail. Each episode is followed by additional endnotes, which add to the detail from the footnotes, and the book has a further set of appendices on top of that. The reading experience is quite unusual: almost every line of dialogue and every joke is explained in footnotes. As a German-born man, I principally approve of the explaining of jokes, of course, but it does interrupt the flow of the comic a little. It feels more like getting lost and absorbed in Wikipedia, following one intriguing link after another, with a sense of continuous fascination, than it feels like reading a story. I guess the book is written for a very specific audience: geeks. Ada Lovelace is, after all, one of the iconic heroes worshipped by 21st century geeks, along Nikola Tesla and other under-appreciated geniuses. This book is not (just) aiming for comedy and entertainment, it wants to get people excited about scientific research and historical figures and events. 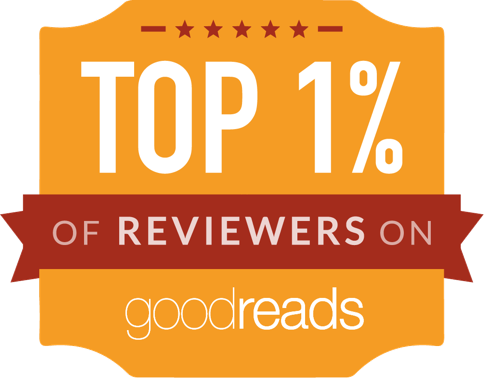 It wants to educate, and it wants to share the author's fascination and celebrate mankind's capacity for enthusiasm (geekery) itself. I adored the art / style and loved the enthusiasm. I enjoyed the episodes and the quirky ideas. I appreciated the footnotes and endnotes (unlike other books which have more general knowledge about a topic and sprinkle hidden references that only the cognoscenti can appreciate, Lovelace and Babbage is entirely inclusive of the ignorant, and provides the knowledge to understand each reference), and I think that this book honours Lovelace, Babbage and their contemporaries with clear affection and respect. I loved the whimsiest episodes and ideas the most and couldn't get enough of those. 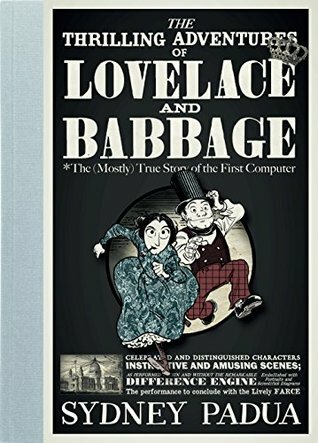 At times, the book was a little too clever for my taste - I would have loved for Lovelace and Babbage to have a few quirky, whimsical adventures that would have been less bothered with edutainment and more purely narrative-focused. The plot always took last place in the author's priority list, with history, facts, quotes, jokes and whimsy all being more important. Much as I enjoyed the book, I would have liked a little more plot (both inside episodes and between episodes). Still, if you like steampunk, Victoriana, history, geek culture, comic books, postmodern storytelling and/or a cute aesthetic, then The Thrilling Adventures of Lovelace and Babbage is well worth your time. I've been curious about this one since... I think there was something on the radio about it? Must pick it up sometime.